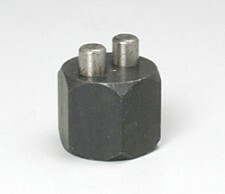 This is the Hobby Connector Pin Crimp Tool made just for common RC type connector pins. 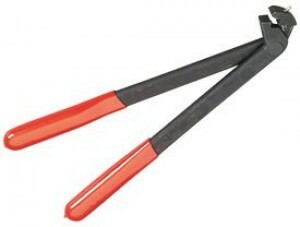 This tool crimps the wire tighter than any other we've tested. 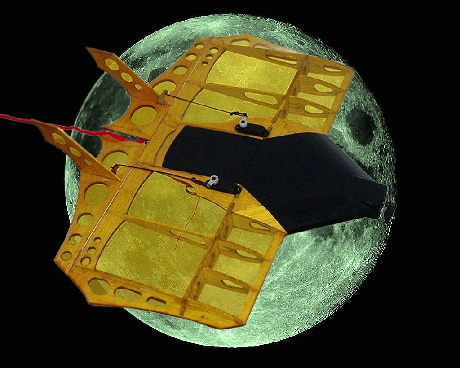 Use this tool to make custom harnesses, do your own battery connectors or modify existing wiring. HINT! 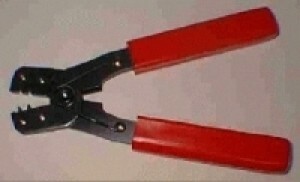 How to use our Hobby Pin Crimp Tool. Notice there are 2 sets of crimps on the connector pin, one for the wire insulation and one for the wire strands. Strip about 3/16" of the insulation from one end of the wire. You want the stripped portion to be long enough to extent through the wire strand crimps and bloom on the other side. Notice in the gully the little peak in the center of the gully. Notice that it is on one side only. As you hold the tool pointing away from you, gully down, it is on the right. This turns the crimps (on your connector pin) into the wire (curls them inward) so they don't crash into each other. Start by crimping ONLY the insulation part and lightly, then move pin into tool fully so the wire strand crimps (on the connector pin) are over the little peak in the gully and crimp very tight. 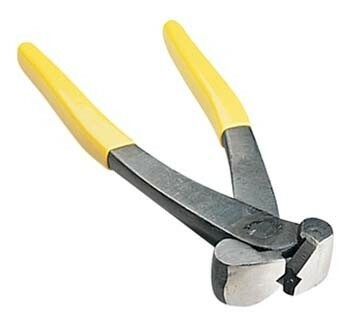 Great Planes Precision Z Bend Pliers, while supplies last! Wire bender and coiler. Up to 3/16" wire. clam,p in your vice. Handle bens wire around post. Master Tool Kit containing everything for your RC workshop needs. 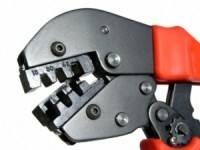 Includes our custom wire-crimper and cutter-stripper, connector pin sets and valuable heat shrink sizes all in one complete tool kit. BEC male & female, 6each. JR Male connectors, 20 each. JR female connectors, 20 each. All components are organized in a rugged resealable storage box. 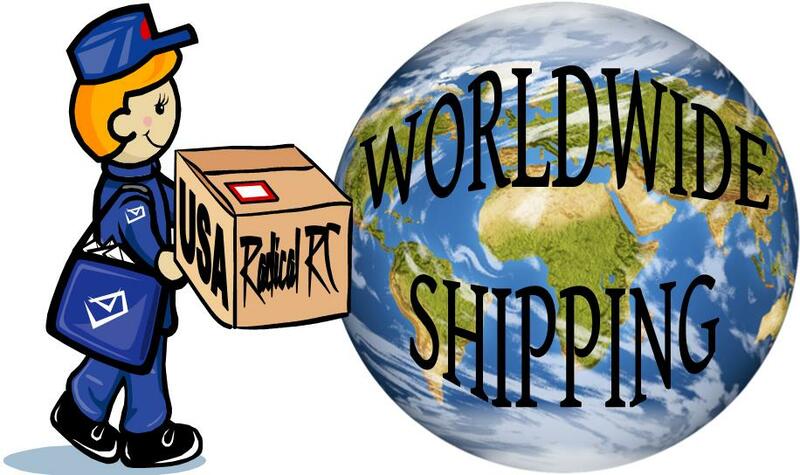 Imagine, when you need something, knowing exactly where it is! 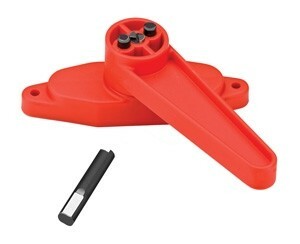 These components and tools are the same professional grade that Radical RC uses in house. Storage Box Dimensions 14" x 8.5" x 2"
Futaba Male connectors, 20 each. 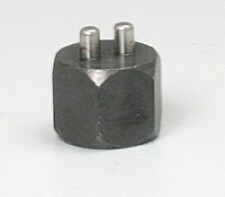 Futaba female connectors, 20 each. 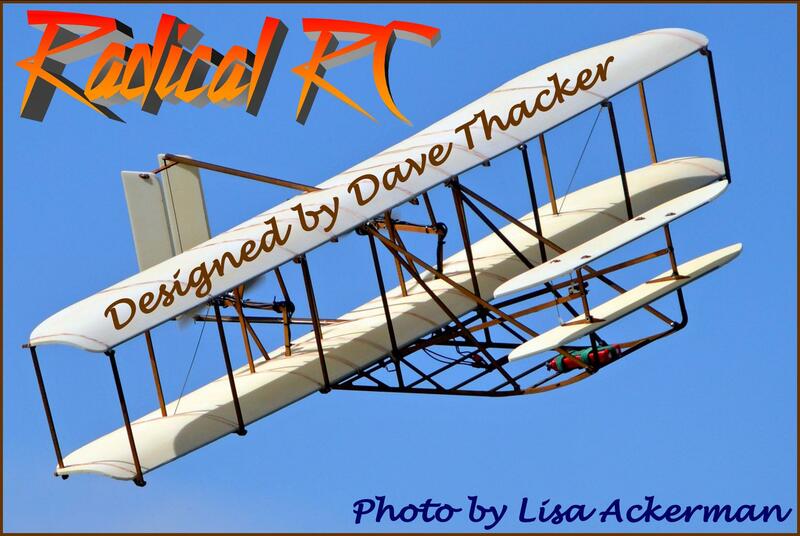 These components and tools are the same professional grade that Radical RC uses inhouse. Our set includes the Crimping Tool, Wire and Pin Kits you need to get started making your own connector ends, Y's and extensions. A commercial quality wire bender, built specifically for the hobby industry. 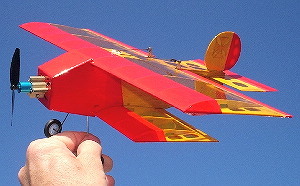 this will bend wire from 0-90 dgrees and makes perfect Z bends, L bends, landing gear & more! It's design was made to be za perfect addition to your workshop. 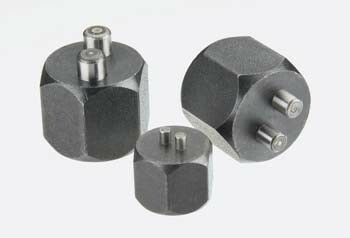 It can be easily mounted to the work bench, or it can be placed on your bench vice. This unit made for wire .015" to .047". A commercial quality wire bender, built specifically for the hobby industry. 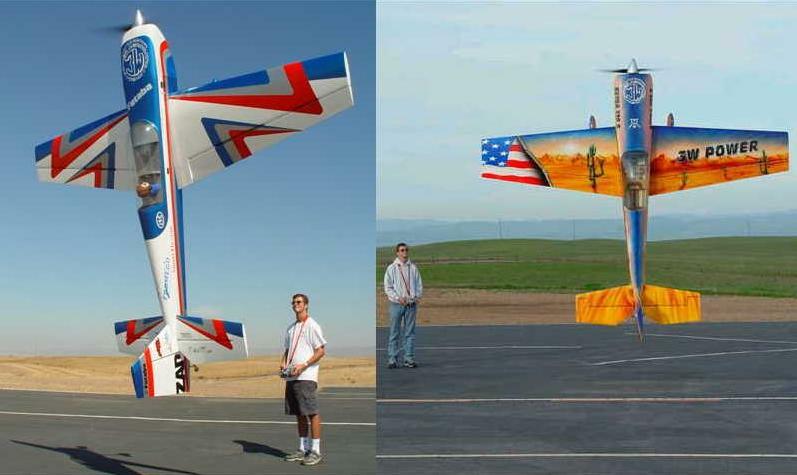 this will bend wire from 0-90 degrees and makes perfect Z bends, L bends, landing gear & more! It's design was made to be a perfect addition to your workshop. 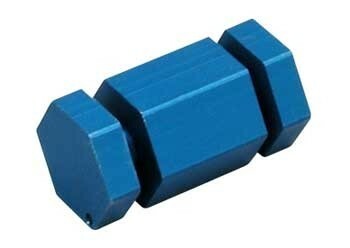 It can be easily mounted to the work bench, or it can be placed on your bench vice. This unit made for wire .062" to .093". The Mighty Wire Bender & coil is an ideal tool for winding nose gear for Tricycle Gears, Retractable Gears, Steering Arms. 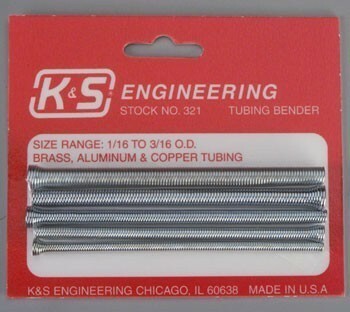 K & S Engineering Tubing Bender Kit handles 1/16" to 3/16" Brass, Aluminum and Copper tubing. Supports the tubing and creates a kink-less bend. Insert tubing into the bender, then bend around a dowel or bar stock. Includes four different sizes of benders. Spring tubes fit over your tube and allow bending without kinking. I've used a set of these for years. For tighter bends, a little care must be taken to work the spring off the tube as you keep adding to the degree of bend. Simple concept works very well. Carded packaging. 4 sections of 1/8" brass tubing included. 4 sections of 5/32" brass tubing included. Bend your own landing gear. Suitable for music wire up to 5/32" diameter. Mounts block in vise, insert wire and pull handle. Couldn't be any simpler. Now you can make that custom gear exactly the way you want it. Also handy for other metals like solid brass and aluminum craft work. Harry Higley's Zee Bender for 1/16" wire. Made with hardened steel pins. Can make Z bends, 90's, U's and etc. in soft or hard material such as aluminum, brass and music wire. Useful for any wire 1/16" or smaller. 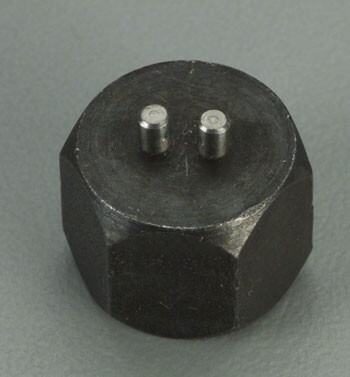 Simply mount hex base in your vise, put wire between pins and pull a bend around the pin. Famous Higley bender for 1/8" and 3/32" brass and aluminum tubing. Great tool for making up your own tank and fuel plumbing hardware. Supports side walls of tubing to allow you to bend quite tight radii without kinking. Harry Higley's Zee Bender for 2-56 thru 3/32" size wire. Made with hardened steel pins. Can make Z bends, 90's, U's and etc. in soft or hard material such as aluminum, brass and music wire. Useful for any wire 3/32" or smaller. Simply mount hex base in your vise, put wire between pins and pull a bend around the pin. Harry Higley's Zee Bender for 5/32" size wire. Made with hardened steel pins. Can make Z bends, 90's, U's and etc. in soft or hard material such as aluminum, brass and music wire. Useful for any wire 5/32" or smaller. Simply mount hex base in your vise, put wire between pins and pull a bend around the pin. Harry Higley's Zee Bender Set for 1/16", 3/32" and 5/32" wire. Made with hardened steel pins. Can make Z bends, 90's, U's and etc. in soft or hard material such as music wire. 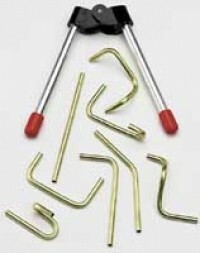 Set of 3 bending tools. 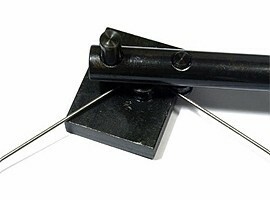 Simply mount hex base in your vise, put wire between pins and pull a bend around the pin.